If you choose to pursue a career, you’re going to be met with choices. One of the most stressful choices is changing jobs, or if you’re lucky enough, choosing between jobs. You should carefully think about these things. This spread is designed to help you put aside some time to consider the good and bad of each choice. Arrange four cards face down (two cards per choice, you can add more cards if you’re lucky enough to have more choices. Two cards per choice) and group them in pairs. The card on the left represents the good of each choice. The card on the right represents the bad of each choice. This isn’t something to rush into at all, so take your time to think over the meanings of each card. 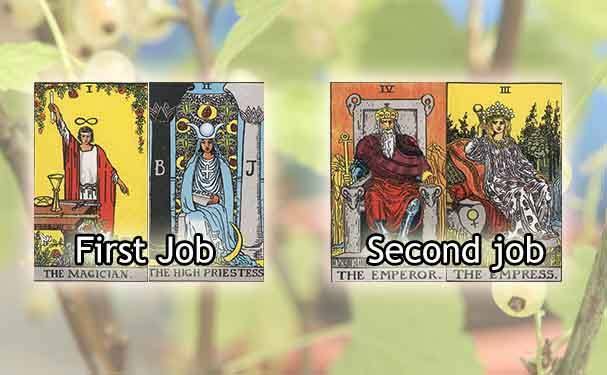 We’ve selected live tarot readers to give you a FREE 3 Minute Career Choices Tarot Reading! Scroll through them below and pick your favorite one. How was your Free Career ChoicesTarot Reading? Let us know in the comments below!